Its chronological structure allows the author to contextualise the collectors and explain the assembly and dispersal of their picture galleries, as well as the significance, contents and critical fortunes of these holdings. He also studies the role played by private patronage and traces the development of tastes in Spanish painting throughout the century from an almost exclusive focus on the Old Masters to a growing presence of contemporary artists following the Restoration. 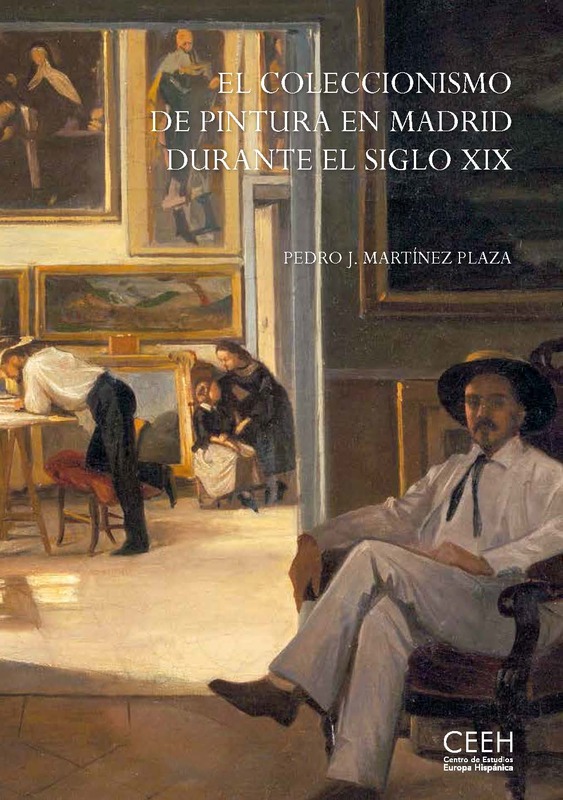 This volume, which is replete with new and significant data gleaned from many archives and a variety of sources (inventories of possessions, receipts of dowries, auction catalogues, contracts, collections of letters, the press, photographs and literary texts), paints an accurate and eloquent picture of collecting in Spain. It provides a huge amount of information and solid foundations on which to build for anyone wishing to examine this field – first explored here with excellent results – in greater depth. Pedro J. Martínez Plaza holds a PhD in Art History from the Complutense University in Madrid. He worked for the Documentation Department of the Museo Nacional de Artes Decorativas and since 2010 he has been with the Department of 19th-century Painting at the Museo del Prado where, as a member of the curatorial staff, he has taken part in various projects such as coordinating the general catalogue of the collection (2015). His lines of research are centred on collecting and the art market, as well as studying a few nineteenth-century painters (Antonio María Esquivel, Emilio Sala, Cecilio Pla) and publishing collections of letters.